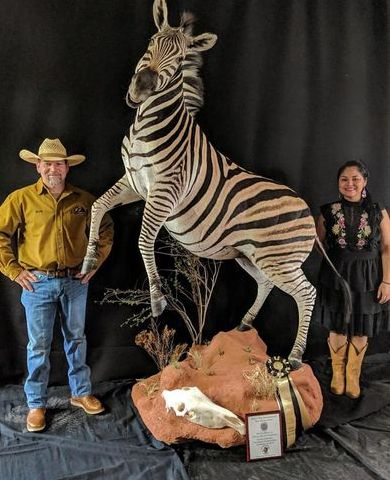 2019 Winner "Best Taxidermy Studio in Arizona"
Located in Yuma, Arizona on I-8, we are southwest Arizona's premier full-time, full-service taxidermy studio producing some of the most stunning taxidermy pieces in the country. Owners Bob and Sandra Mead invite you to visit our showroom and see first hand the beautiful taxidermy art we produce! We can handle any job, large or small, from a single mount to an entire trophy room or office/restaurant decoration project. 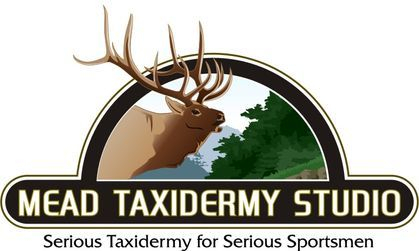 Mead Taxidermy Studio is licensed by the US Fish & Wildlife Service (USFW) and is a US Dept. of Agriculture (USDA) "Approved Establishment" for processing international trophies, and we can provide logistical help and free trophy hunt tags for your next international hunt. We also ship finished trophies anywhere in the country, so getting your trophy to its final destination is never an issue. There are many different photo galleries on our website, so take your time and enjoy the mounts! If you have any questions or comments, or would like to discuss your next taxidermy project, please contact us! Have a blessed day! and believers in our God and Savior Jesus Christ! God Bless You!